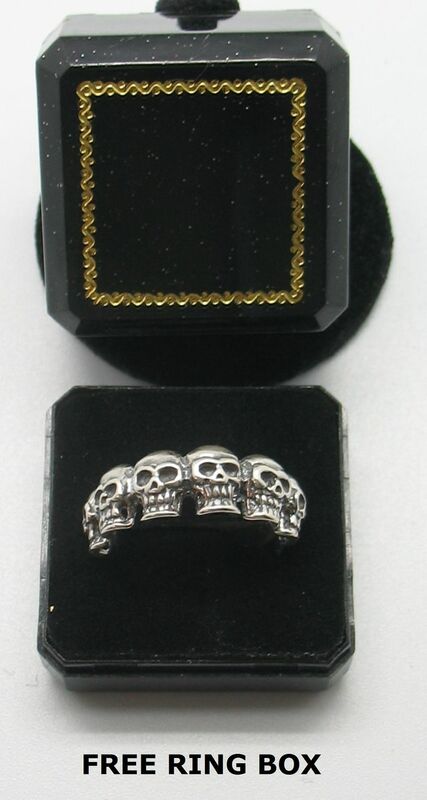 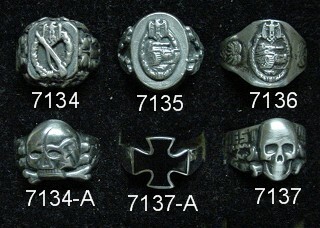 "We have added a total of 33 new rings to our inventory" check them out! 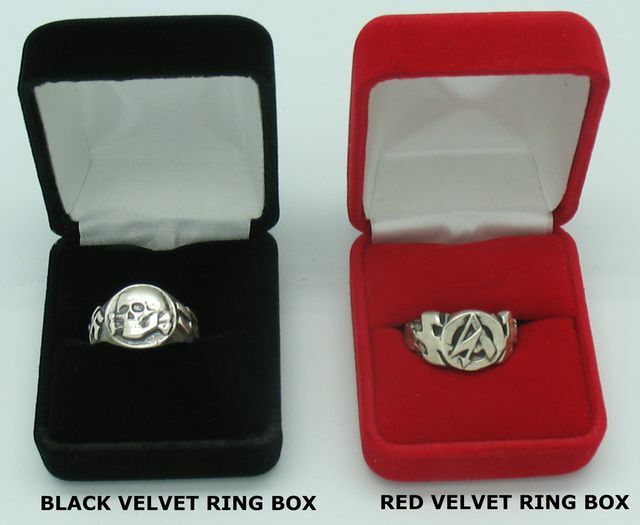 We are proud to offer our extensive line of 925 Sterling Silver Rings and more. 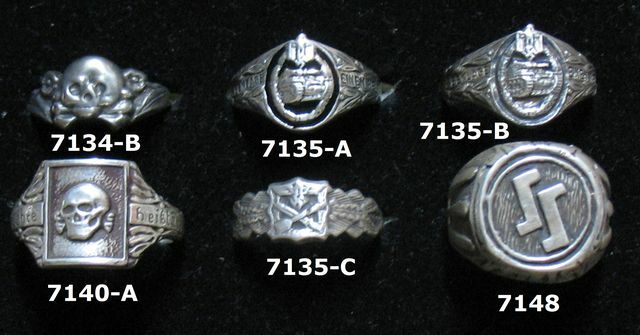 These ring have been produced all from originals, and are superb in there exacting detail threw out, many come with special inscription on the inside, and many styles will be found for the first time offered by us! 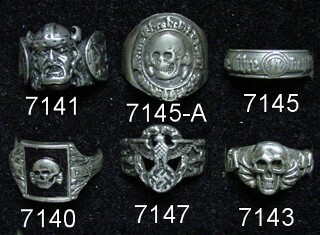 Most rings come in all available sizes ones that do not are marked by the size they are in! 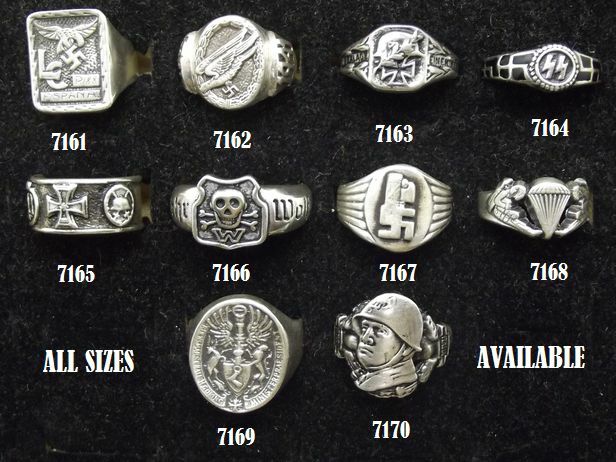 We have basically shown only the front view, but will gladly answer any additional questions you may have on any ring we carry! 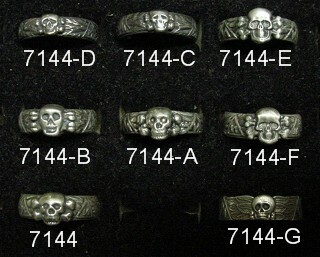 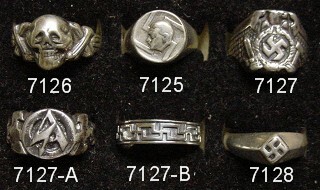 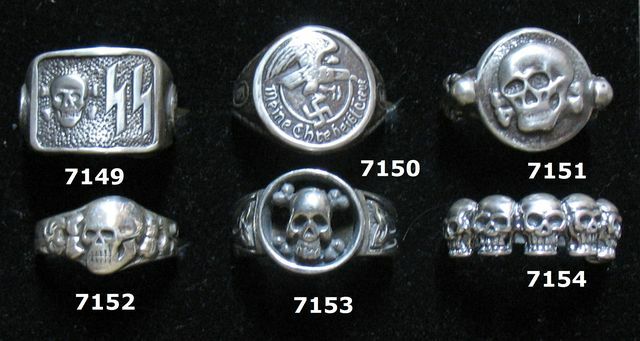 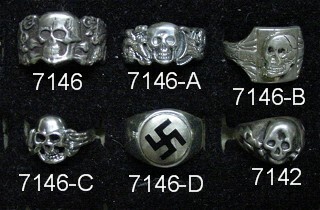 "Contact Us"
CONSIDERING THE HORRORABLE QUALITY OF MANY RINGS OFFERED ON THE INTERNET AT 10 TIMES THE PRICE, WE ARE GOING OVERBOARD FOR THOSE INTERESTED NOW TO GET A 3RD REICH RING, PLEASE SHOW US WE ARE NOT WRONG P.S.if you have any ring you would like produced we can offer you this service! 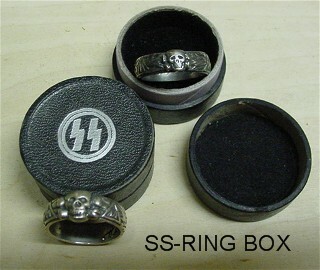 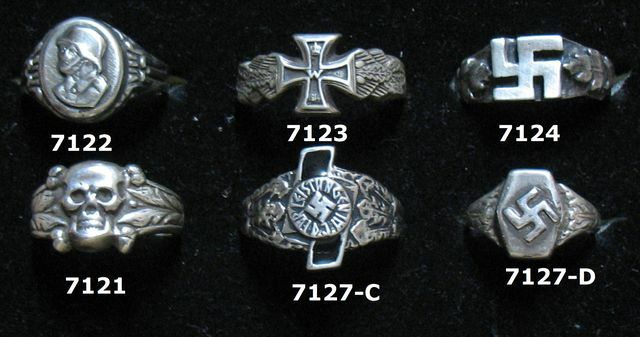 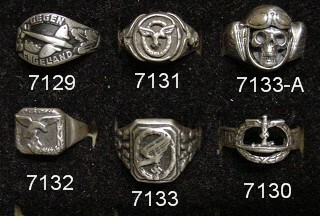 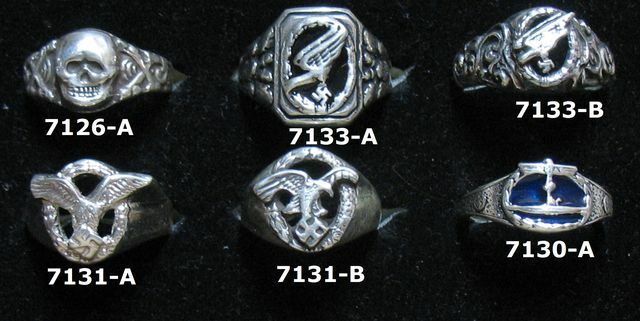 These boxes are were issued with the SS-Honor ring, and are actually rarer thanthe ring itself, We have faithfully produced these from the "Original' in every detail: $25.00 each or $15.00 if purchased with any Ring!